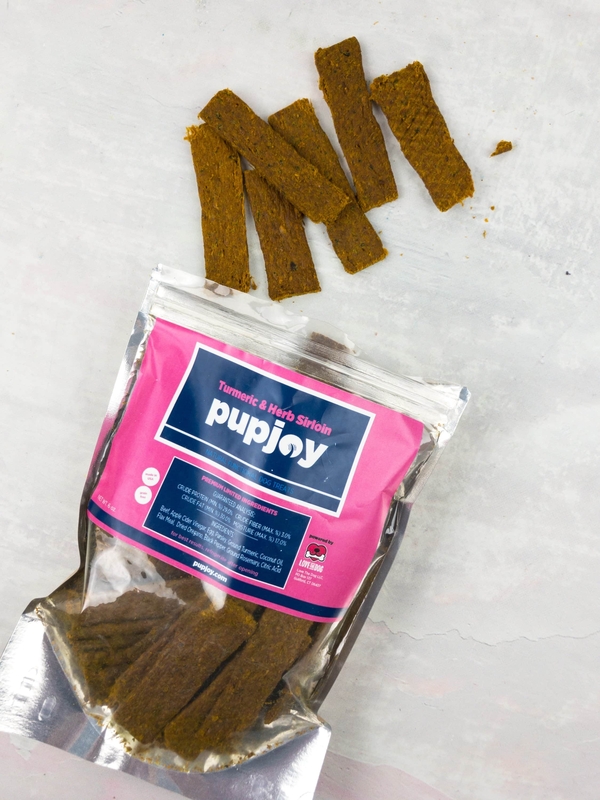 These healthy, functional treats are a HUGE favorite of our doggy testers. They are handmade with freshly ground sirloin and vitamin-packed fresh parsley. These have an incredible aroma that even the pickiest of dogs can't resist! The 3-inch strips are satisfying for larger dogs and they also break up easily for smaller pups or for training treats. Yum! These functional treats are also packed with turmeric, which contains the powerful bio-active compound Curcumin. Curcumin is responsible for Turmeric's distinct yellow color and its host of health benefits. Curcumin is one of the most powerful natural anti-inflammatories in existence! It also helps support liver function and body detoxification. We pair our Turmeric with unrefined coconut oil and freshly cracked black pepper, two essential keys to helping your dog's body unlock the amazing benefits of Curcumin.